Reviewed by Michael Depaulo, Vietnam Vet, USMC and National Service Officer, Rolling Thunder Inc.
From that day forward, according to the constitution, only one political party, the Vietnam Communist Party, would be allowed to exist. On official letterheads of government stationery the three previously used terms comprising the national motto of the communist north: 'Freedom, Independence and Democracy' were changed forever to read 'Freedom, Independence and Happiness.' To the Vietnamese people this change in terminology, especially the reference to happiness, would provide one of the few sources of humor during a desperate time. To add insult to injury, the graves of fallen RVN military personnel were razed by bulldozers in cemeteries across the country. Typewriters, radios, televisions and anything that could be used for propagation or communication were required to be registered with the 'Military Management Committee' responsible for political security under the new 'Socialist Republic of Vietnam.' As interest began to wane, occasional references to the Vietnam War coined phrases such as a noble cause' or 'an unnecessary war.' The question as to whether the Vietnam War was or was not necessary was just as divisive in postwar debate as it was during the days following the 1968 'Tet Offensive. In my own assessment of both the necessity for and the outcome of the Vietnam War two primary considerations were the U.S. national interest at the time and the mission of the U.S. Military Forces that fought in Southeast Asia. Garnett 'Bill' Bell, a native of Texas and a retired GM-14, DoD, went to Vietnam as an infantryman in 1965 and served four tours there. Bell was awarded 20 individual decorations and numerous unit awards. 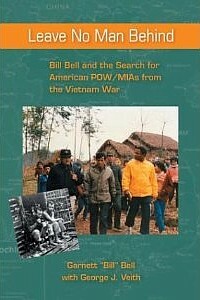 Bell later served as an instructor in the Department of Exploitation and Counterintelligence, U.S. Army Intelligence Center and school. During his career Bell served in the 327th Airborne Battle Group, 101st Airborne Division, the 1/35th Infantry Regiment, 25th Infantry Division, the 2/506th Airborne Infantry Regiment, 101st Airborne Division, the 101st MI Company, the 525th Military Intelligence Group, the Defense Language Institute, the U.S. Army Intelligence and Security Command, the 6th Special Forces Group, the Joint Casualty Resolution Center (JCRC), the Four Party Joint Military Team (FPJMT) and the Joint Task Force Full-Accounting (JTFFA). Bell's wife and son were killed and a daughter critically injured in April 1975, when the families of U.S. officials assigned to the American Embassy in Saigon were evacuated in conjunction with the 'Operation Babylift' program. After being evacuated by helicopter from the roof of the American Embassy on the final day of the Republic of Vietnam (RVN) (30 April 1975), Bell returned to postwar Vietnam as the first official U.S. representative after the war ended when he was assigned as the Chief of the U.S. Office for POW/MIA Affairs in Hanoi. He served more than 12 years on the POW/MIA Search Teams. An Airborne-Ranger and Jumpmaster, Bell eventually became a member of the Congressional Staff, U.S. House of Representatives. Bell is a life member of the Veterans of Foreign Wars (VFW), the Combat Infantrymens Association (CIA) and the Military Order of the Purple Heart (MOPH). Fluent in Vietnamese, Thai and Laotian, Bell is a graduate of Chaminade University and the author of 'Leave No Man Behind.' Bell is employed as an investigator in the 12th Judicial District western Arkansas.